There’s only a bit more than a week left before the Wooting two Kickstarter launches. I can speak for everyone at Wooting, to say that we’re all super nervous! Before we launch the Kickstarter, I want to share the rewards we’re planning to have and I can use your honest feedback. The more complexity, the more chance problems will arise and the more confusing it is for you guys. That’s why the rewards need to be as straightforward and simple as possible. No extra gimmicks, swag, fidgets or other waste. Though, dealing with international customer is a different story, you’ll see. You know those Kickstarter that offer the product at half of the retail price? It’s ridiculous and not a viable. Either they’re not planning to bring the same product to retail or there is a ridiculous amount to be earned by their sales channels. We want to put an emphasis on making you one of the original backers and supporters of the Wooting two. You and us, together, creating an impactful product. Stretch goals aren’t necessarily a bad thing, but it comes back to the first point. It adds complexity and endangers the main focus point of the Kickstarter. I’m also very doubtful how much it will actually help us to get people to join the Kickstarter or not. We might add a simple stretch goal that we’re keeping a secret for now. No complicated software access programs. There’s a handful of Kickstarters that promise a physical product which heavily relies their software to be useful. They will divide their rewards into all kinds of different early access types and more often than not, in the end, the software is still horrible when the product hits the mass users. We promised to release the Wooting developer portal, then that means, it’s immediately available for everybody. Interested in helping development or testing our early phase software? Then hop onto discord and join in. No special reward tier or application. The Small and Big switch packs you can choose between, red, blue and black. You will get 12 in the small and a full-size amount of 110 switches in the big. The fastest pledge around is a Wooting two with all its accessories, but there will only be one available (so be fast). Early bird is a Wooting two with all its accessories. But there’s a limit to 200 backers. The Wooting two is a … Wooting two with all the accessories. The reward prices are excluding shipping and custom fees for European Union customers. If you reside in an European Union country, your shipping and custom fees will be added during checkout. We will help import and deliver your reward within Europe without any unexpected charges. This will save you a major headache, long transits and unexpected bills from your local import customs. What. Everybody living within the European Union is liable for local VAT (Btw/UID/USt/Moms). If you live in a country of the European Union and you import goods from outside the European Union, the goods will be held by your local customs for taxation. They will charge your local VAT (~21%) and import duty over the total value of the goods including shipping cost. Often there’s also an additional administration fee and in some cases they re-evaluate the total value of the goods. How. We will import the goods, deal with customs, local VAT and any other charges for you. Then we will ship your reward from our fulfillment center in the Netherlands to you. All the reward prices include free shipping in the United States. 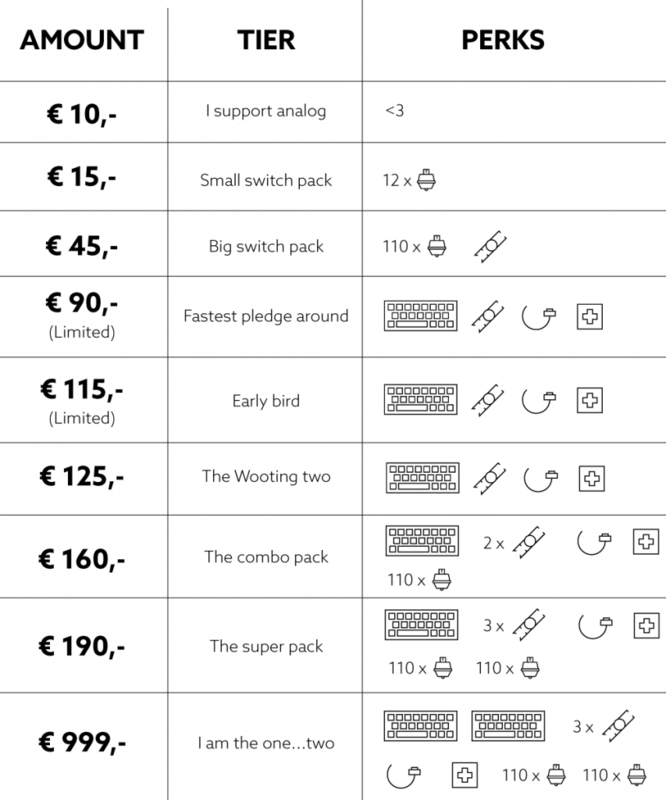 The Kickstarter prices are originally in Euros, but you will see them in a Kickstarter converted US dollar amount. We have done our best to keep the prices in line with our target but the ongoing conversion rate will heavily influence this. Kickstarter forces us to display the prices in Euro. That’s why we’ve adjusted the Euro prices to better reflect our US dollar prices. Our solution is related to the message above. How. We will import all the goods, deal with customs and any other charges for you. Then we will ship your reward from our fulfillment center in North Carolina to you. Sounds confusing right? Sometimes it can be difficult to sell a product on a single platform for all the customers in the world, exchange rates, taxes, and a lot more mambo jumbo. But we think this is the best and most fair approach for both EU and US backers. But… but when will it go live? I’ll be at a conference that morning. I’ll get this on my calendar as a thing to sneak in during a break. I’ll be replacing a beloved Corsair K95 with this puppy. Missing the US ISO version (again). But can I order a German ISO with twelf keys that replace the odd ones? Could you offer a combo US ISO that way? 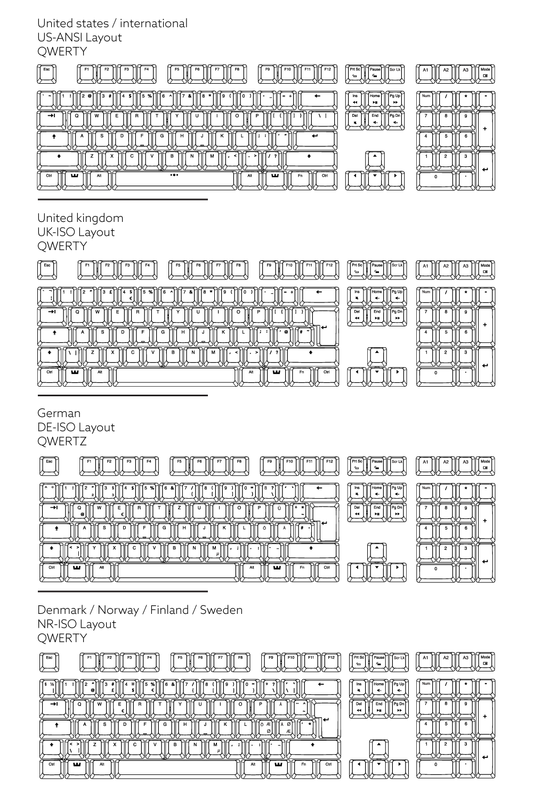 US ISO is a fairly unique layout, but if you put a request to social@wooting.nl after receiving the DE ISO W2, we can send the missing US keys from our spares. Been waiting since the Wooting One came out. Can`t wait! Lets see the Wooting Two to the finish line boys! Would liked to buy the Wooting 2, but no Swiss Layout. For me thats sadly a deal breaker. In Switzerland with the right marketing Campaign you could get a high sale volume. I don’t know, why most Keyboard manufacturers dont look over this option. Swiss Customers have a high budget and trust in brands…. We are still figuring out if we can support more languages. Perhaps I should let a survey go out and see what language requests there are. We don’t want to risk offering a language and producing a very low amount. Just a smalll comment about the switches. Do the simple packages come with red as default or can you choose any type you want? Do i understand correctly that with blue, you lose all the linear properties of the keyboard? Then does it even make sense to buy the keyboard with only blue switches? Or should people who order that get a warning of it’s possible to always choose? Can you advise a default option? Or at least explain a little more about the differences, other than the graph. Oh and there’s some typos, so if you’re planning on using text from this page for the Kickstarter, make sure to re-check it or mail me. You can choose what switch type you want installed on the keyboard and what switch type you want with the switch pack. Blue switches are still worth it, you should heavily consider the typing experience over anything else. The blues are still very linear feeling. Graphs will be made ont he final page section. It’s partially what we’re using, but doing a full recheck at the final page. Thanks! So, how do we get the Kickstarter link on 31 May 2015 at 15:00 CEST? Will you send an email to everyone who has signed up? Should we go to Kickstarter’s home page and press refresh over and over again at 15:00 CEST? Please Explain. 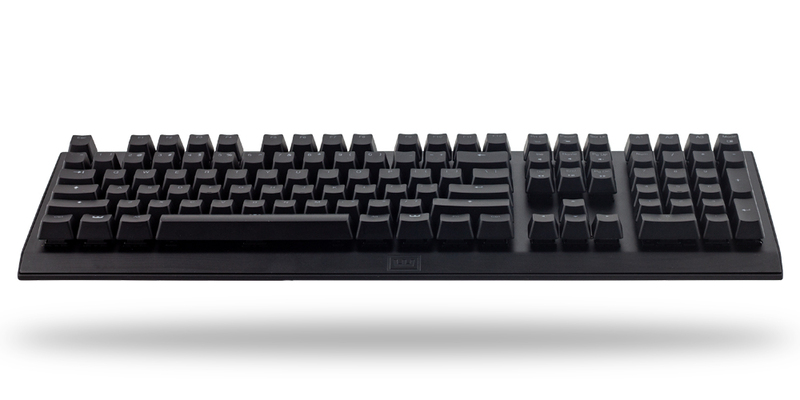 We will send out an email to our newsletter/wooting two news subscribers, announce it on our discord and you could give a shot and keep searching wooting two. Is there a way to achieve RU-Keycaps? Best way is to get third-party keycaps for Russian ANSI layout. We will have a survey at the KS where you can let us know which layout you want. If there is enough requests, then we will start to offer it as an option. Only question is do I buy the TKL version while I wait…. But what about Russian layout? Russian layout would be awesome to do, but we will need a distributor or reseller to support it, unless there’s enough demand for the language layout. We will have a survey during the KS where you can let us know what language layout you want. If there’s enough request, we’ll add the option. That is in consideration. I will come back on the language availability. So if I wanted an ISO layout for Dutch/English language which should I pick? ISO Dutch/English is a bit hard to get your hands on. It’s a layout you don’t find in Gaming keyboards anymore. English UK ISO is an alternative but I’d still recommend ANSI. Hello, I’m not sure of what my shipping address will be around November when these are scheduled to be delivered, can I change it after ordering? I’d like to still be able to take advantage of the early bird deal. That’s not an issue, we will check all the shipping with a survey close to the delivery date and you’ll be able to change it so long it hasn’t shipped yet. hi if i want to order wooting 2 swe layout how do i do? We will send out a survey asking for you language layout and switch type after the Kickstarter ends.